All German Jagdterrier blood lines originated in Germany. The German Jagdterrier Registry of America, a registry for all German Jagdterriers that reside in America. A specialty registry just for German Jagdterriers, no other breeds. A registry that cares about the breed. The GJRA has kept pedigrees on German Jagdterriers since 1995, then named German Jagdterrier Registry. 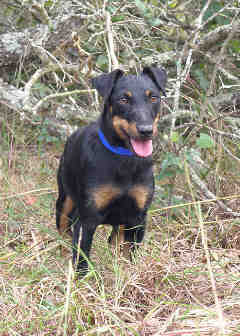 GJRA has united both GJR and AJTR together, forming one registry just for the German Jagdterrier breed. 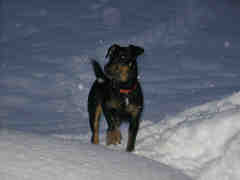 German Jagdterrier Registry of America is the ONLY registry that requires pictures, height and weight of each German Jagdterrier being registered when one year or older. This assures that each and every German Jagdterrier meets the German Jagdterrier Registry of America breed standard. Before a year old all German Jagdterriers are Puppy Registered. This is not a registry like others that don't care about the breed, this is a German Jagdterrier registry that is preserving the German Jagdterrier. 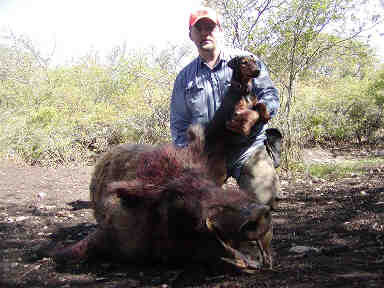 Each and every person hunts different types of game and uses the German Jagdterrier differently. American is a big country with hunting conditions that very in each area. The people are the same, they are all different in how they hunt the German Jagdterriers and what they use them on being small, medium or big game, flush and retrieve, herding live stock, blood tracking wounded game and the list goes on. As you can see we have a great group of people that really care about the breed and preserving the breed. Always ready to lend a helping hand to people that own a German Jagdterrier or people that are getting in to German Jagdterriers. The message board has some very knowledgeable people and you can ask any question you have being big or small and they will sure try to help you out. Each and every person involved in the GJRA wants to make sure the German Jagdterrier is preserved how it was intended to be....A hunting and working breed. They care about the breed and want to preserve the breed. 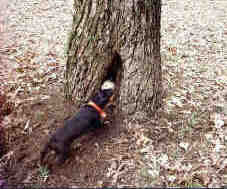 We hope you join the GJRA message board and start learning more about this truly amazing hunting dog. Remember: When Purchasing a German Jagdterrier make sure it is registered in German Jagdterrier Registry of America. This way you know you are purchasing a pure bred German Jagdterrier. If not registered in GJRA most likely the person that bred the Jagdterrier does not care about the breed.